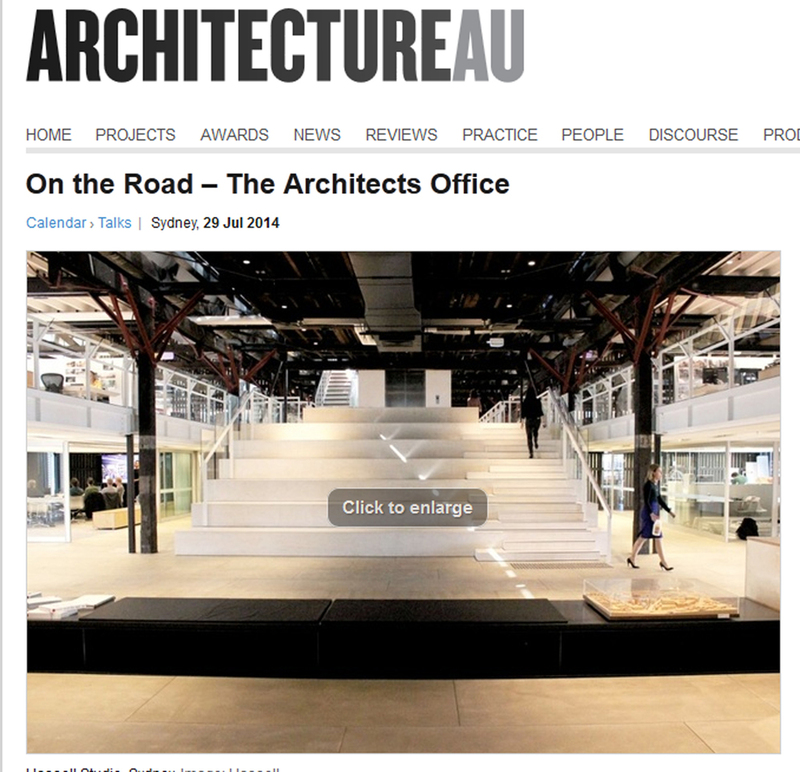 I'm curating an upcoming talk at Hassell Studio's called On the Road – The Architects Office. The talk will introduce the conceptual, historical and practical issues that drove the design outcome, and discuss the changing spaces that architects and designers work in. Matthew Blain from Hassell and two speakers from Bates Smart will present their respective work spaces and discuss how their designs represent the visions of two of Australia’s leading architecture firms, how this reflects the company’s style, and how they maintain visual ‘approachability’ to their long-standing client bases.